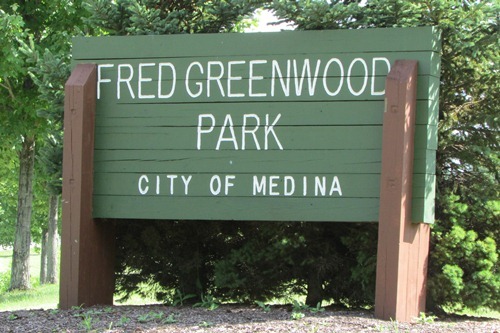 The playground feature this week is Fred Greenwood Park Splash Pad in Medina Ohio. Below are pictures of the park. Enjoy! The playground, pavilion and splash pad (right behind the pavilion in the picture above) is located very close to the parking lot. Up first is the play ground. 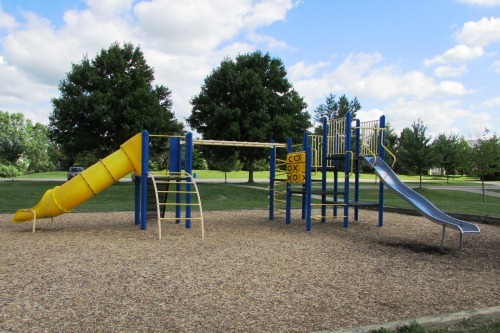 As you can see, it's a small play structure, but does have a variety of things to keep the kids entertained for awhile. 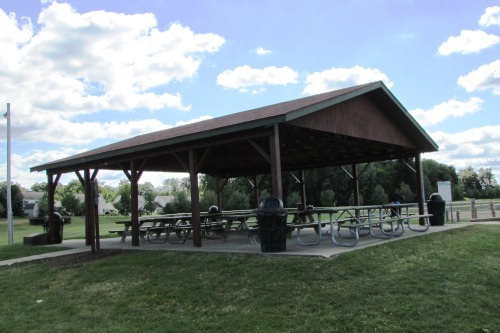 The pavilion is conveniently located next to the playground and splash pad. It could make for a great location for an outdoor birthday party. And last but not least is the splash pad that is located directly behind the pavilion. 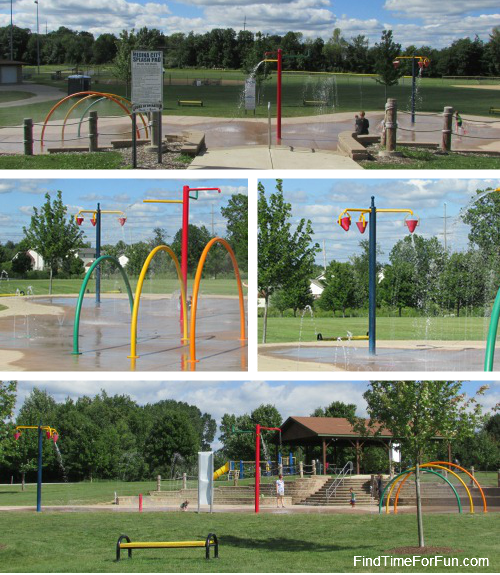 The splash pad consists of three large water features and numerous fountains spraying water from the ground. And the best part is that it is FREE! They’ve updated this park:) you’ll have to come back for a visit! New play structures are in!